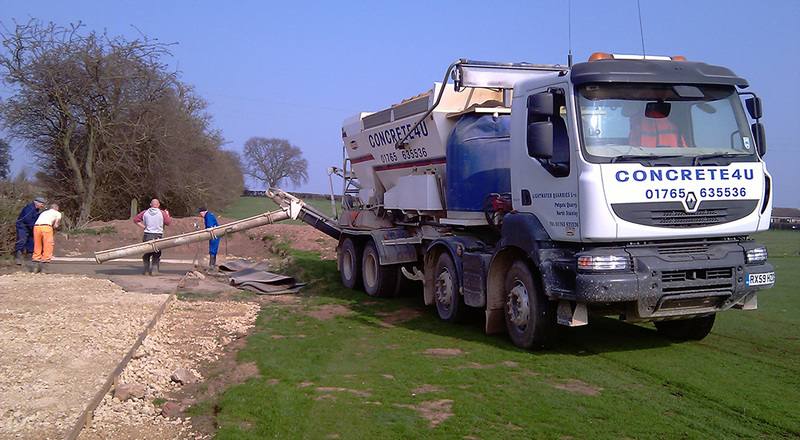 We supply products for all your concreting needs from our quarries near Ripon, North Yorkshire. 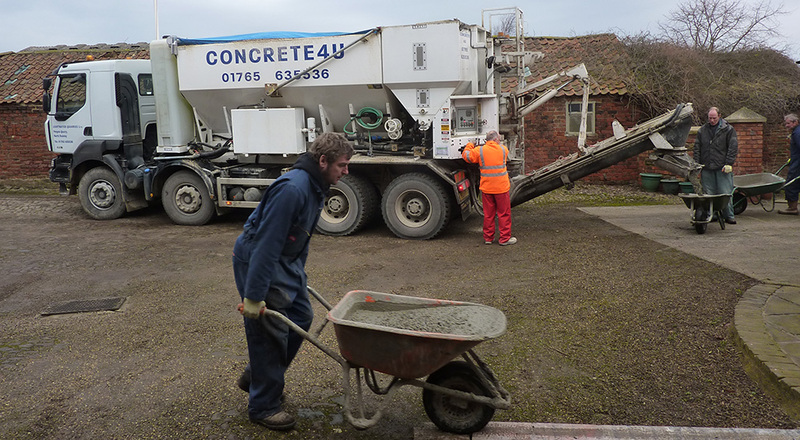 As a leading supplier of both mix on site and pre-mixed quality assured concrete we can supply mixes tailor made to suit our customers’ requirements. Our fleet consists of three mix on site wagons (volumetric) which mix the concrete on site and can produce loads from 0.2m3 up to 9m3 per delivery and a 3.5m3 mini-mix drum for tight access deliveries. The mini-mix drum is also specially designed so the body in on a weighing platform which allows us to ensure that you only pay for what you use in the same way you do with the mix on site wagons. If you are concreting in North Yorkshire we will give you free advice from helping you decide what mix you need to do your contract from our own technical knowledge and supplying concrete which is quality assured through our BSI accreditation to advice on how to lay and cure your concrete. Our drivers are friendly and efficient and we will wait on site while you barrow or pump your concrete to ensure you have the right quantity meaning you never get a short measure and equally no wasted material from over ordering, which can be messy to handle and dispose of.